Big MPVs aren't really in-keeping with SEAT's racy brand image but the Alhambra has always done very well for the brand - especially in second generation guise. 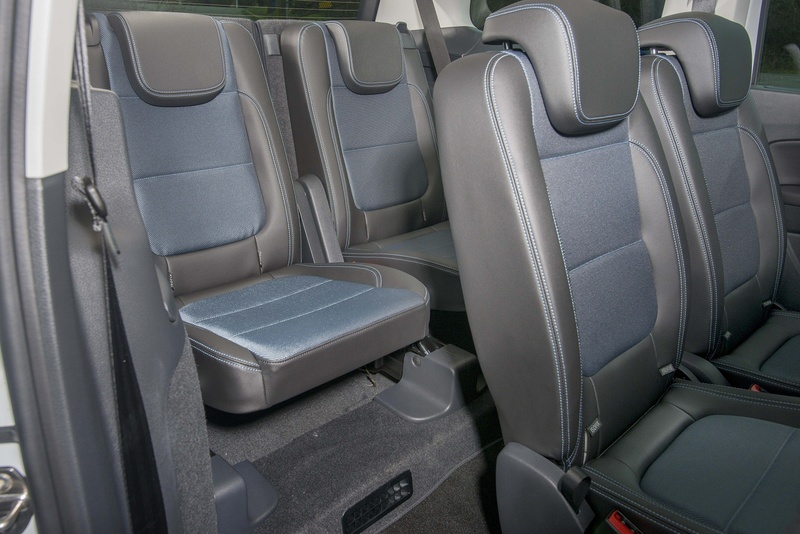 Unlike more compact 7-seat MPVs, with this one, adults can actually use all three rows of seats, with those chairs folding neatly into the floor thanks to the Easy-Fold seating system. 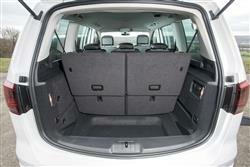 You also get sliding side doors and a plethora of storage options that give this car strong practical credentials. This improved version gets more efficient diesel and petrol engines, improved safety and some new generation infotainment technology. 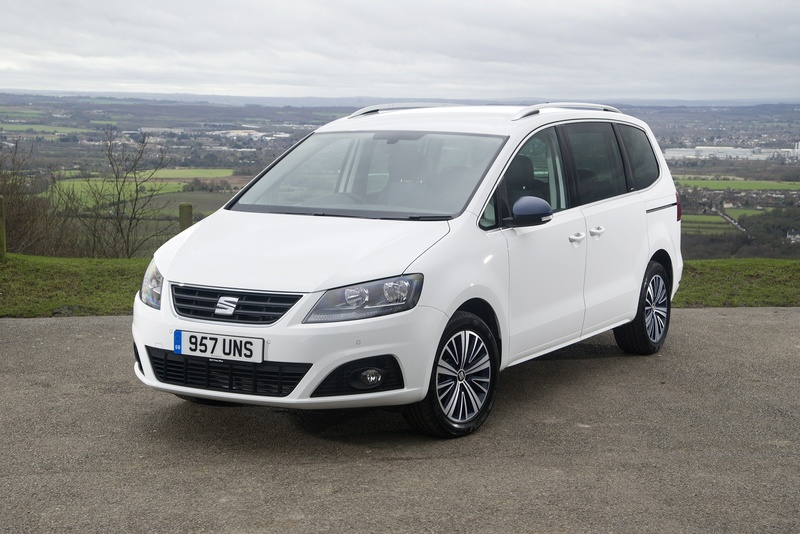 The Alhambra has evolved in this improved guise, brought thoroughly up to date so that it can respond to the challenge posed by Ford's fourth generation Galaxy and Volkswagen's much-improved Sharan in the large MPV segment. It continues to be the most un-SEAT car SEAT makes. A big seven-seater MPV, after all, isn't quite on message with the brand's exuberant marketing but this People Carrier has always been so successful that the Spanish manufacturer can't resist selling it. 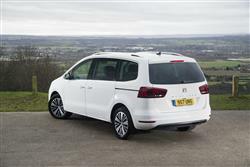 This version, like its first generation predecessor, is a SEAT-badged version of that Volkswagen Sharan model we just mentioned, but is offered with value pricing. That means you get all the latest modern Volkswagen TDI diesel engines, units that are just about ideal for a People Carrier of this sort. 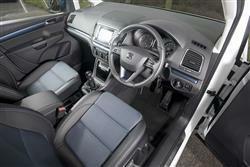 Plus a 1.4-litre TSI petrol unit. 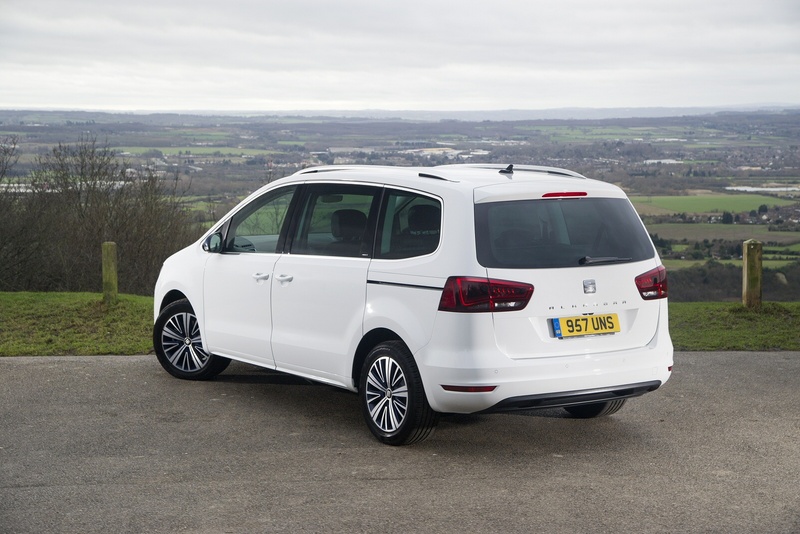 Large MPVs may have somewhat fallen out of fashion in recent years, but this one still makes an awful lot of sense for a growing family. For the same sort of money you'd pay for the kind of 7-seater that would squash your family up inside, this People Carrier will really let them stretch out. 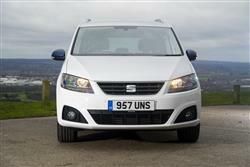 The claim from SEAT is that the sporting character and driving fun it builds into all its cars are very much intact where the Alhambra is concerned. It is a seven-seater measuring close to five-meters in length, though, so expectations may need to be tempered a little. The uprated and now more powerful mainstream engines are all diesel-powered, with 150 and 184PS versions of the familiar 2.0 TDI common-rail injection unit. There's also now a 1.4-litre TSI petrol option. Around town, the Alhambra can eek extra miles out of its fuel tank and contribute to cleaner air with its standard Start-Stop technology. When the vehicle is stationary, taking it out of gear and lifting the clutch stops the engine. All you have to do is drop the clutch to restart it. The DSG dual clutch gearbox is available as an option giving drivers the choice of fully automatic shifting or flipping through the gears themselves with the wheel-mounted paddles. This improved Alhambra model's design has been subtly updated but the changes are diffucult to spot. Restyled rear lights with LED technology display SEAT's distinctive light signature. Plus the latest brand logo is set into the modified front grille and there are revised wheel designs. The interior comes with smarter trim colours, the steering wheel design is taken from the SEAT Leon and some of the control elements have been redesigned. The keyless entry and start system is another ease of use feature. Otherwise, it's as you were. 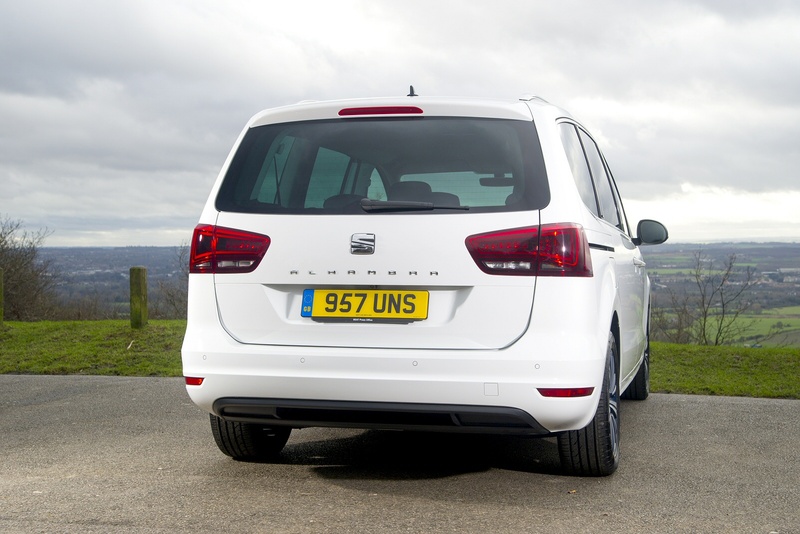 Size is not in short supply with the Alhambra but SEAT's largest MPV disguises its bulk well through some typically sleek styling. The bonnet and windscreen form a continuous, sharply-angled line from roof to grille for a wedge-shaped profile while the large headlights and low bumper add a little character to the nose. There's a lot of glass, so even passengers in the third row should get a good view out and getting light in won't be a problem. Getting passengers in should also be straightforward thanks to sliding side doors that provide a wide aperture and outer seats in the middle row that tilt forward giving walk-through access to the third row. 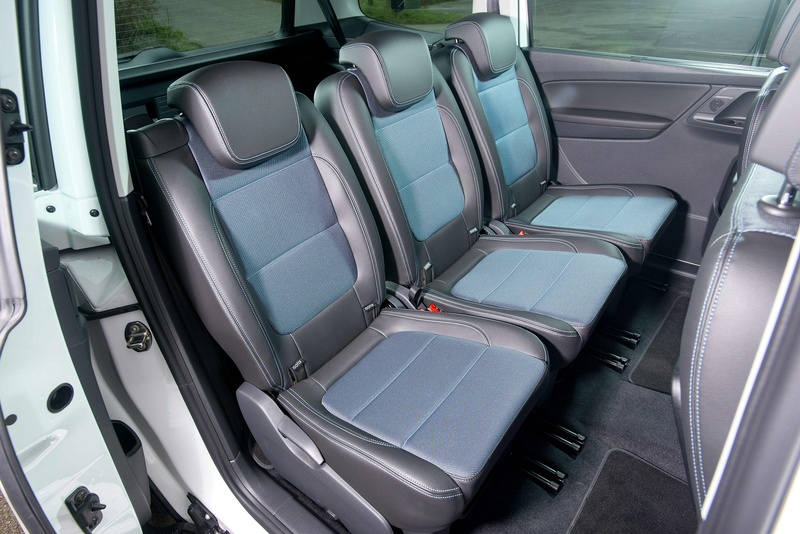 Seven seats are standard and there's plenty of versatility in all models thanks to the Easy-Fold seating system. You needed a MENSA IQ and the strength of a Ukrainian shot putter to maximise the luggage capacity of the old Alhambra as the seats needed to be folded, unclipped from their mounts and lifted out. Now all of the rear seats can tumble down beneath the floor with a minimum of fuss. 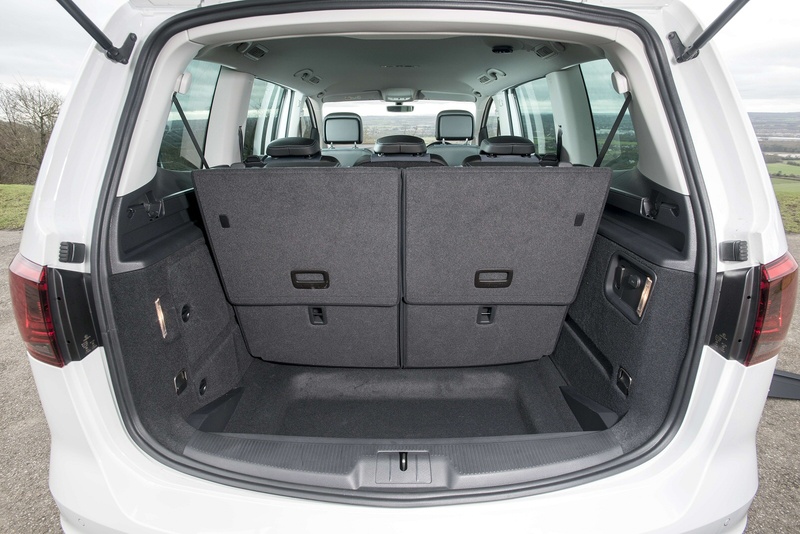 The boot capacity isn't huge with seven people inside but there's up to 1,167 litres with five occupants and up to 2,297 litres when you travel two-up. Prices start at around £25,000 and there's a wide choice of trim derivations - 'S', 'SE', 'Connect', 'SE LUX' and sporty 'FR-Line'. 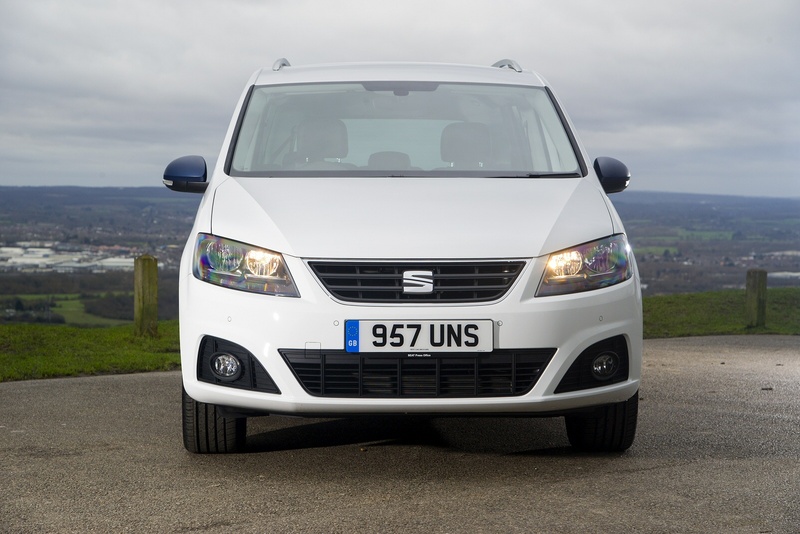 The equipment list on the Alhambra is festooned with the usual array of storage options and convenience features you expect to find in a modern seven-seater but there are also some options you might not expect to find. The sliding side doors can be electrically powered if you like and the bi-xenon headlamps come with a Full Beam Assistant function that dips the beam automatically when it detects on-coming traffic. 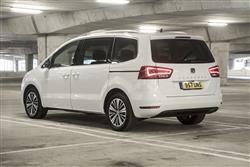 As for the recent changes, well this revised model comes with a new generation of SEAT Easy Connect infotainment systems. These include high-resolution touchscreen displays and the very latest processors for much faster booting and rapid route calculation, offering a completely new level of connectivity too. As for safety, well the VW Group's award-winning multi-collision brake system is now standard equipment in this Alhambra. In the event that the driver can no longer intervene following an accident, it initiates automatic braking to avoid a secondary collision. This car can also now be specified with a Blind-Spot Sensor, which warns of unseen vehicles when changing lane. Another feresh feature Alhambra buyers can specify is DCC (Dynamic Chassis Control). The system regulates the damper valves in a matter of milliseconds to adapt the vehicle characteristics to the exact driving situation - whether it's supreme comfort or a sportier drive. Optional massage seats also deliver an exceptionally high level of long-distance comfort. SEAT claim that this improved model is up to 15% more fuel efficient than ts predecessor. In 2.0 TDI 150PS guise for instance, it manages 57.6mpg n the combined cycle and 130g/km of CO2, impressive figures for such a large MPV. All engines can be combined with the DSG dual-clutch automatic transmission, which in its latest generation also boasts a fuel-saving coasting function. As soon as the driver lifts off the accelerator, the Alhambra runs with the engine decoupled. 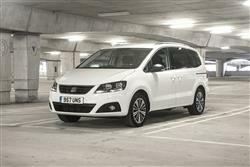 If you�re looking for a new SEAT Alhambra 1.4 TSI SE L [EZ] 150 5dr Petrol Estate for sale, you�ve come to the right place. 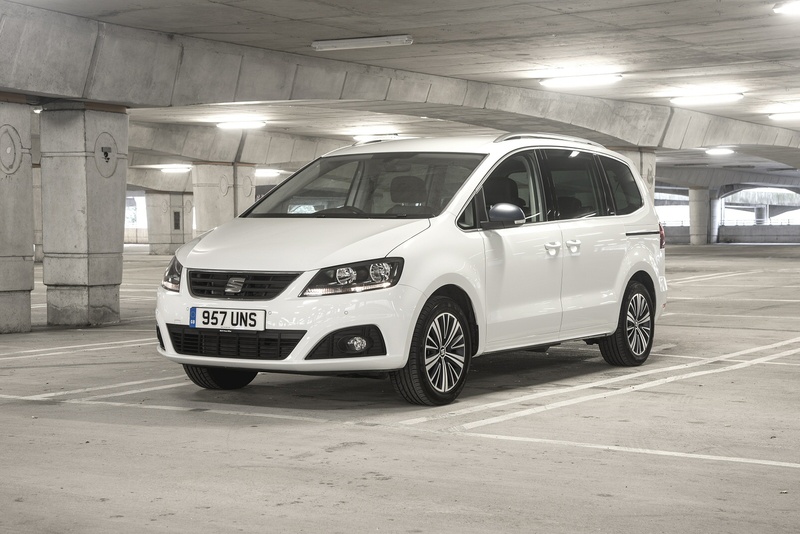 At Bristol Street Motors we don�t just have the best SEAT Alhambra 1.4 TSI SE L [EZ] 150 5dr Petrol Estate deals, we also offer friendly advice and help with all your enquiries to ensure your buying experience is a happy experience.